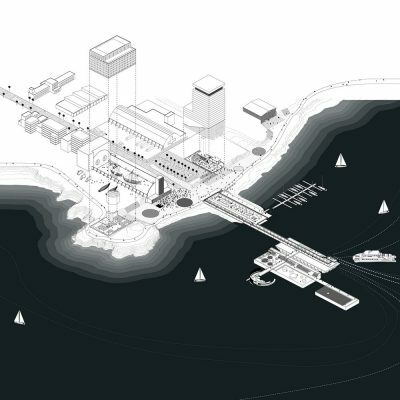 The Dutch design offices Felixx and jvantspijker, together with Orri Steinarsson, have won the international urban design competition in Gufunes, Reykjavik. 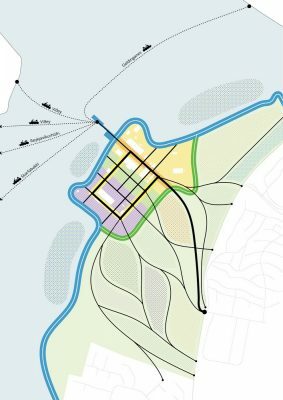 The task was the strategic redevelopment of a vast coastal area of approximately 140 hectares, at the edge of the city. 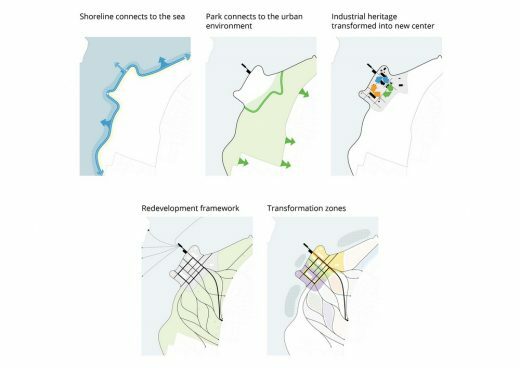 The winning proposal is committed to transform the area, with striking industrial buildings along the coast and a vast green zone inland, into a haven for urban pioneers. The 1st prize was awarded during a ceremony on Wednesday night (December 7th) by the mayor of Reykjavik. In due course the process to elaborate and implement the project will be developed. 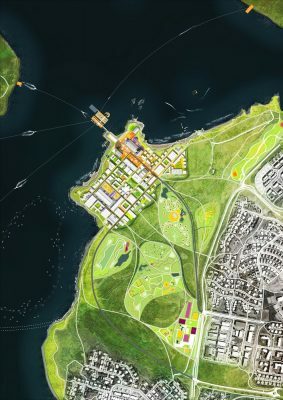 The winning proposal positions the area as an overflow for downtown Reykjavik. Tourism keeps growing, and the city can hardly cope with the increasing pressure on space and program in the center. Gufunes will therefore become an unpolished haven for starters, city pioneers and creative businesses that can no longer be accommodated elsewhere in the city. The vast area is being restructured into a coherent whole. The zone around the existing industrial buildings will be re-densified into a new urban center. The open green area transforms into a multifunctional recreational park for events and large-scale outdoor activities. The spatial strategy creates the conditions for a phased transformation, able to anticipate on different development speeds. A simple grid structures the industrial area, and a network of paths and roads organize the recreational landscape. The urban and park landscape are linked, and necessary connections with the surrounding urban environment and the shoreline are established. The framework ensures the overall spatial quality and functioning of the area. It both defines the frame and generates the conditions for the re-development of existing and construction of new buildings. A crucial element is the proposed waterbus service, making Gufunes accessible for commuters and tourists in an environmentally friendly way. The heart of the community is the revitalised pier, where the first phase program is driven by the realisation of the famous Baltasar Kormákur’s film studios in an existing warehouse. Around the pier a wide variety of functions and programs are planned: small businesses, cafes and restaurants, a hotel, residential buildings, leisure and outdoor program. Together these interventions will put Gufunes on the map as a new destination in Reykjavik. The combination of a new pioneer area and a recreational landscape park add necessary space and non- existing conditions to the city. 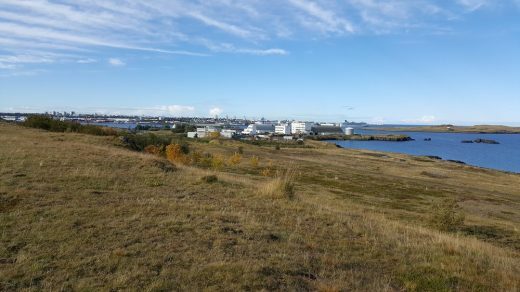 They enrich the urban ecology: Gufunes as the urban fertilizer for Reykjavik.